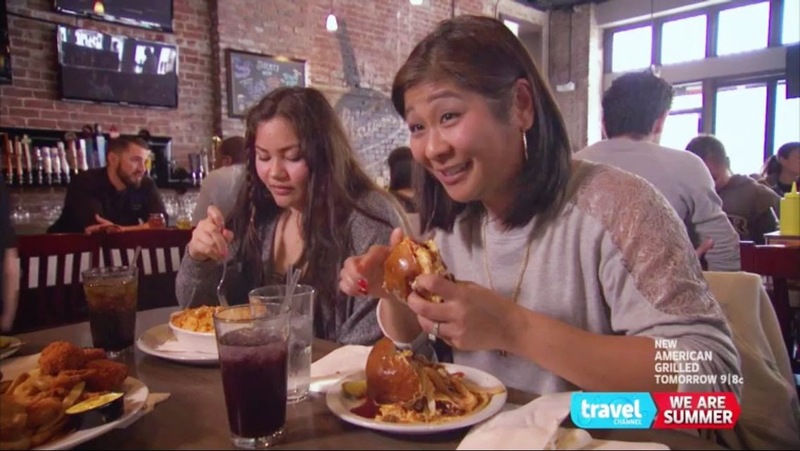 do you remember back a couple of months ago when MIL, the teen and i went to slaters 50/50 in pasadena and got some face time on camera for a show on the travel channel? it's finally on the air! the exact title of the show is food paradise, "hot & spicy paradise 2." sounds kind of porntastic, i know. but hey, RATINGS! and a quick scan of my directv guide tells me that it's set to air again this sunday at 4:00 PST. you know, if you were interested in tuning in or anything. i might also drop that you can zone out for approximately 3/4 of the show, unless you actually care about the parts that i'm not in. the teen and i watched it via directv's on demand feature on my phone. i'm not gonna lie, i didn't want to wait to check it out. i was half excited and half cringing at what we might see. heh. 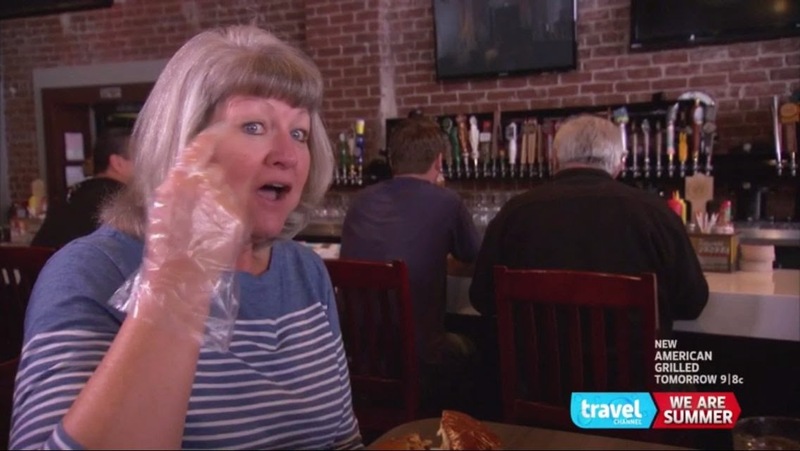 MIL got herself some pretty good screen time, although she more than deserved it after enduring the pain that is their 50-alarm burger. 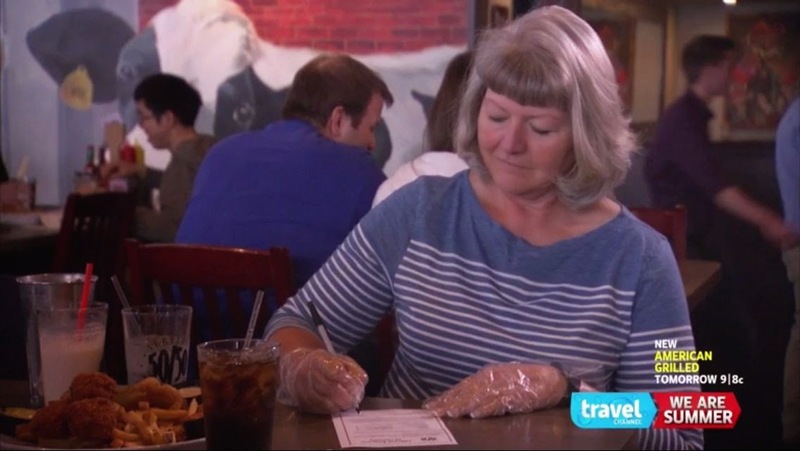 if you recall, she had to don protective gloves and sign a waiver before they'd even serve her the damn thing. she's such a good sport. the thing was so hot, it brought her to tears. she had to be super careful so as not to get any of that peppery crap in her eyes. that would not have made for great tv at all. i managed to snag a little airtime too. burning my entire mouth while eating that sriracha burger was totally worth my 2.75 seconds of national broadcast television footage. while the teen breathed a sigh of relief at her own footage seemingly landing on the cutting-room floor, a little digging on the travel channel website told me otherwise. they didn't keep any of her actually speaking on-camera, but if you watch this apparently online-only clip...well, you just might catch a fleeting glimpse of my fabulous firstborn. after watching the show, the bean was hit with a major burger craving. 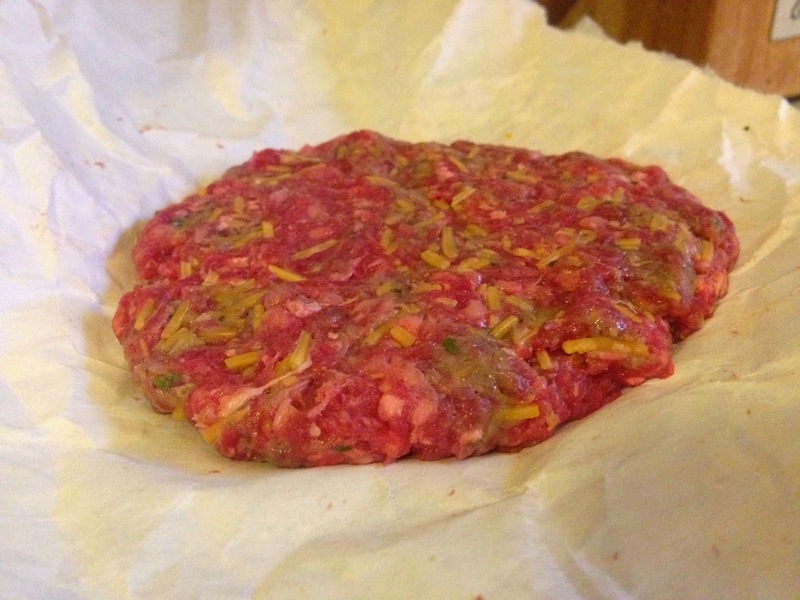 i whipped out my most favorite, super simple recipe for homemade burgers and created some patties that cooked in a flash on the ol' george foreman (ignore the fact that it kind of looks like cat food when uncooked). 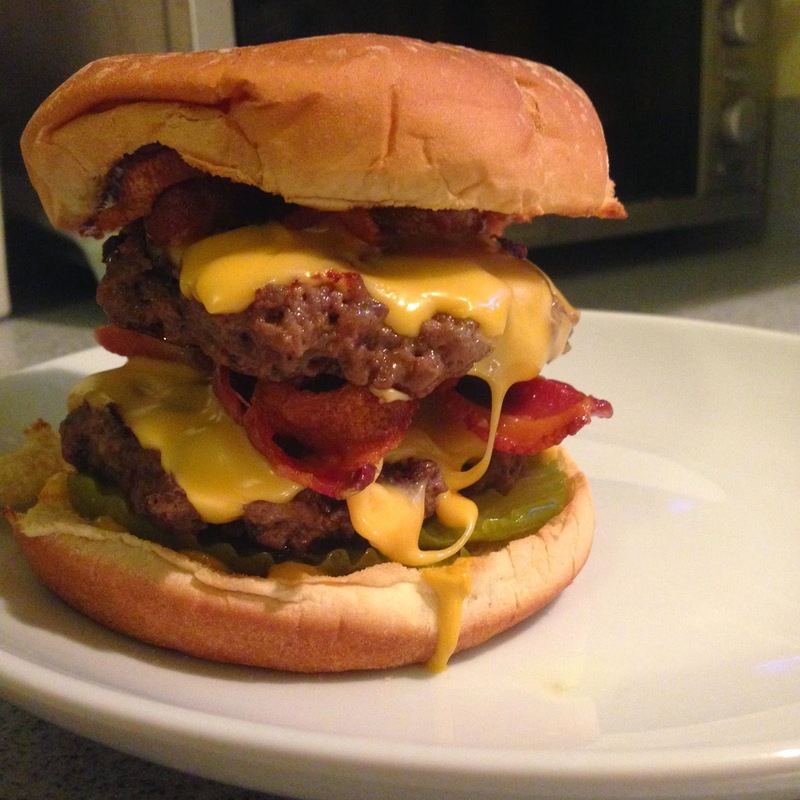 and in honor of our travel channel tv debut, i cooked up some bacon and assembled what i'd humbly call a pretty damn fine burger. okay, who else wants me to eat delicious food on-camera for them? anyone? i'm experienced!